Enlighten Path: What's Your Energetic Theme For The Next Two Weeks? What's Your Energetic Theme For The Next Two Weeks? Are you curious to see how the next two weeks will be shaping up for you? 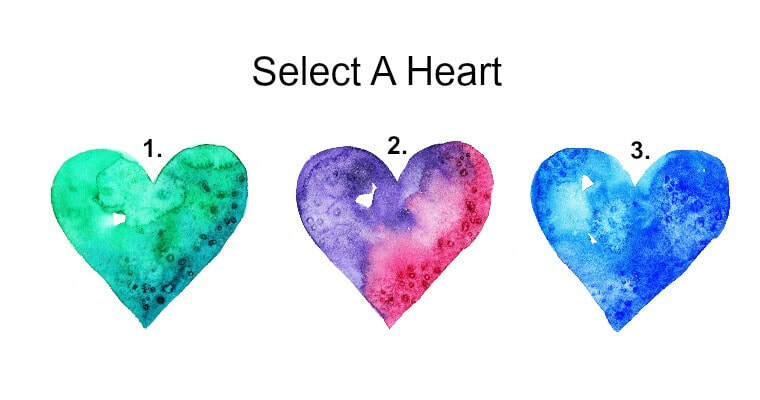 You can find out what's in store by selecting the heart that resonates the most with you Simply ask yourself the question, "What can I expect? ", next, select the heart that calls to you. Mother Nature is calling you to her. This month spirit encourages you to spend time out in nature and with Mother Earth. Get back to the basics for a few weeks by taking more nature walks, watch the sun rise or set, stop and smell the roses, and maybe even plant a few trees or flowers. The connection to our divine and beautiful Gaia will help you to ground, center, and refocus your energy during this time on our this amazing planet. Beautiful things and luxuries are nice but once in a while, it is important for us to simplify our lives and appreciate the beauty that surrounds us. Let's talk about commitment and keeping yourself disciplined as you prepare yourself and those who rely upon you for stability and security for the future. Are you doing all you can for the future in preparation so that you can sit back and enjoy life in your golden years? What about those who rely upon you for assistance such as young children who may be going to college one day? If you haven't already, it's time to begin a 5, 10, 15, and 20-year plan with realistic financial and living arrangement goals for yourself and those who are dependent upon you.